I think they had the first training session in 1981. There was something called the PPITB, which I think was the Publishing and Printing Industry Training Board, which I think had folded and had some money that it needed to be spent. I think that’s what facilitated it, it meant that we could afford to hire a space and advertise it and probably pay at least expenses to some speakers so we could run a course. 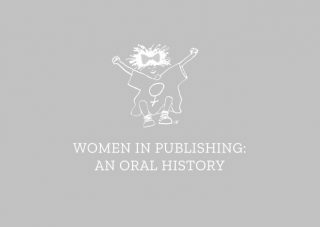 And finance, I think, was one of those areas that we felt that a lot of women had little confidence in and would not have necessarily encountered in their way into their publishing careers, but was really important to understand if you were going to make progress in a publishing career. And we had Paula Kahn, we had Rosemary Davidson, who was I think managing director of the Schools Division at Cambridge University Press, and then I think we had Jill Norman, who had just set up her own cookery imprint. We had Harriet Spicer who was production director of Virago. And we decided to limit the numbers to about 20 or 25, I think, and a lot of the Women in Publishing committee actually came along. And I remember in the audience we had, now Dame, Gail Rebuck as one of the trainees in the audience and Jane Gregory was there as well and quite a number of others. And again, one of my real publishing lessons I remember learning from that session, because we were put into groups and we were shown how to cost a book and then we were told to price a book. And I still think of that because I now teach publishers about strategy and about competitive pricing and so on, and I say, you’ve just got to think about the value that the book means to the customer and not the cost. And sometimes I tell them that story. And of course it’s brilliant that those women were in that group, and particularly Gail having gone on to be a massive commercial success. And yes, it was all there, way back when.